So if you have been wondering how to stop your dog escaping DogFence Pro Fenc 1200 is the answer! DogFence never compromise on the quality of our product or quality of our service. All the systems we supply are individually made and tested before leaving the manufacturers HQ, each computer collar is put through a series of tests to ensure quality and consistency. Click Quote to receive a bespoke estimate. 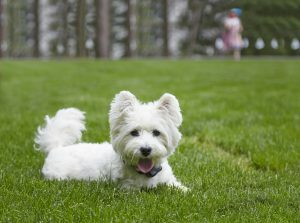 The Pro Fence 1200 is the proven way to give your pet the freedom he deserves. 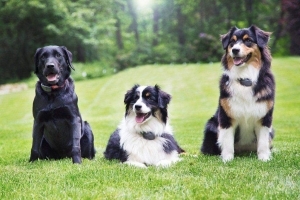 The Pro Fence 1200 works with all breeds of dogs and cats and we are happy to advise on the type of receiver collar required and the correct age for your dog or cat. We recommend starting your pets on the system from 4 months. DogFence moved away from the old AM technology over 15 years ago; they recognized early on the benefits of FM. 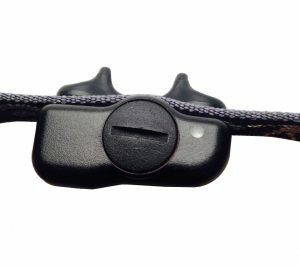 Our systems use an industry beating digital FM signal – no false activation, the capability to attach to metal fencing, run alongside electricity cables etc and reaction time of the collar – (15 times quicker than any other receiver worldwide). Today we are proud to boast, the longest battery life in the industry – 19 months longer than our rivals, the most advanced warranty – no quibble lifetime warranty on all our Professionally installed Systems! All our systems use Safelink ® and FastReact ® software. This gives the safest and fastest computer collars in the world to stop your dog escaping effectively and humanely. Our success is not just due to our technology. The DogFence team are trained to professionally install and train dogs and cats to hidden fence systems. We offer continued support for the lifetime that you are using our system as well as unbeaten warranty and containment guarantee. 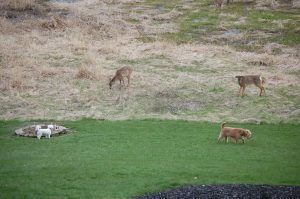 All our fences are “Robotic Lawn Mower Friendly” with the premium brands of Robotic mowers. Our customers are our best advertisements and continually recommend our systems and service because we continue to keep pets safe at home (see containment guarantee). All our computer collars are waterproof, and our transmitters come with full lightning & surge protection. With our installed systems we use an industry designed Heavy-Wall Cable (*Pro Grade) and even our self-installed systems are supplied with a heavy duty boundary cable. Cable is not covered by lifetime warranty. Max Capacity for the Pro Fence 1200 = 5 acres equivalent to approx 700m boundary cable. Choice of 2 amazing Computer collars: The smallest receiver collars with longest battery life available worldwide! R12 (medium to large dogs) The longest battery life worldwide!!!! Response hang on time less than 0.1 sec! Also available with this system our new Comfort Contacts (short and smooth coated pets only). R12 Micro (small dogs & cats) The Smallest computer worldwide!!! Range Control – Easily allows you to adjust the warning zone on the boundary. Lightning Protection – Exclusively designed external & internal lightening protection provides the best surge protection and protects your system against storm damage. Broken Boundary Warning – Audible & Visual alert warnings if the boundary signal is interrupted, cable is broken or damaged. 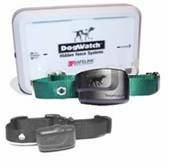 Warranty* – DogWatch offer an industry beating warranty. Lifetime warranty on all our Professionally installed Systems and a 4 year warranty on all self installed Systems. Our warranty includes accidental damage, dog chews and even lightning strikes – no other manufacturer can match the DogWatch warranty. 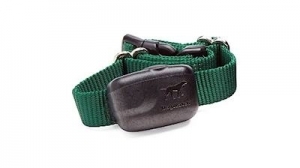 Digital FM Signal Safelink – protects your pet from stray activation of the receiver collar. Only system that guarantees no “dead” spots on the fence -DogWatch do not use OOK – our cable can be run alongside pipes, cables and even attached to metal fences without losing signal. *Pro Grade Cable Details (used for professionally installed systems only): Designed exclusively for the Pet Fence Industry – (HMWPE) – direct burial wire rate 75 ºC, 300V for wet or dry locations. HMWPE insulation is formulated to provide excellent oxidative stability, toughness and abrasion resistance. High Molecular Weight Polyethylene. 16 stranded conductor with 0.45” insulation. Cable is not covered by lifetime warranty.